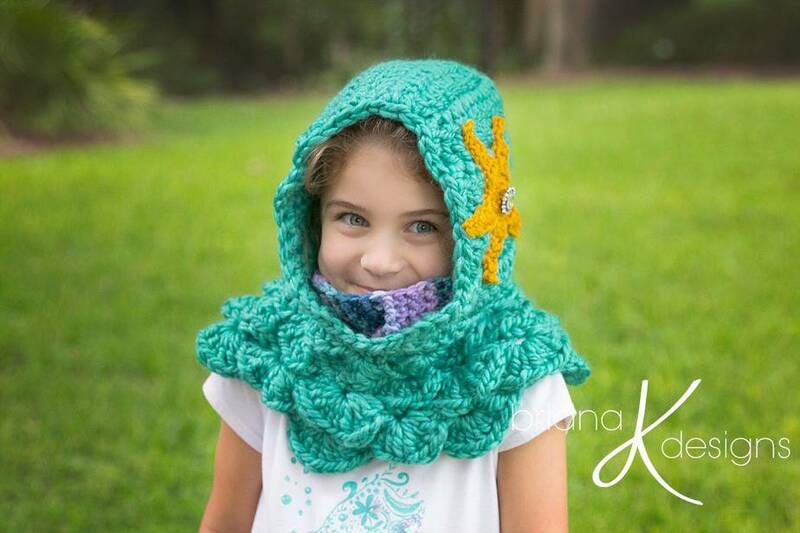 This mermaid hooded cowl is sure to make a splash for any age! Fun for dressing up, Halloween, or everyday wear to keep warm! 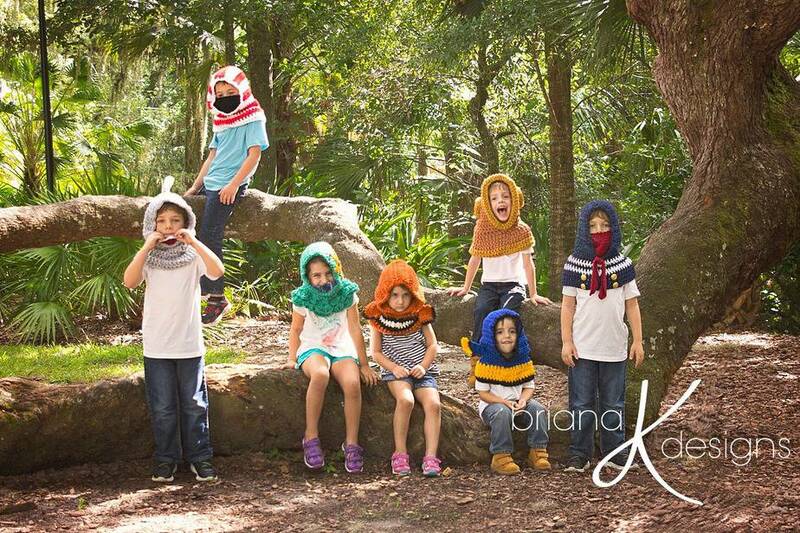 The optional neck warmer insert will keep ages 1-99 cozy through those cold winter months.